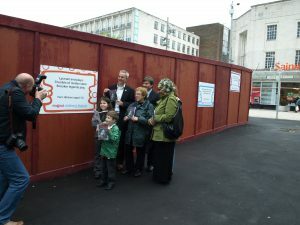 The Sheffield Haiku began as a project involving local poets visiting schools in Sheffield as part of Sheffield Children’s Festival 2010. 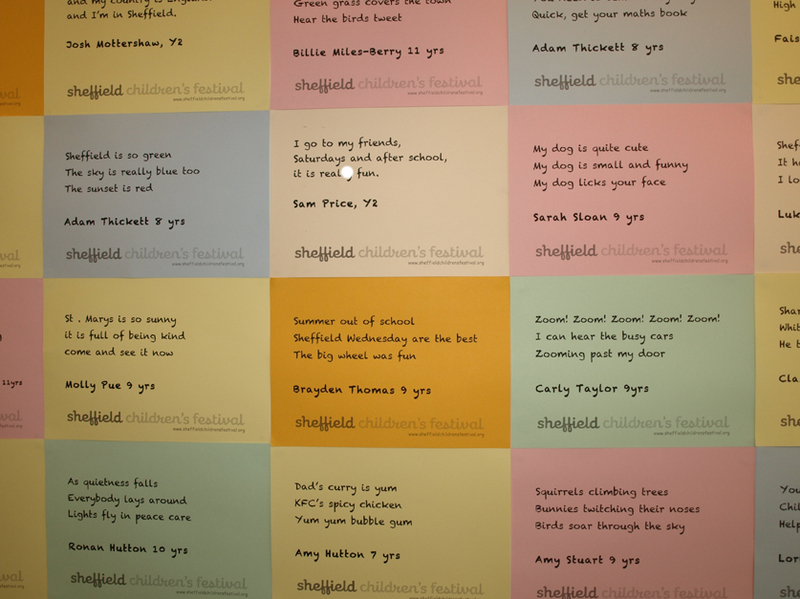 The haiku produced by the children were exhibited as a trail snaking through Sheffield City Centre starting on The Moor and finishing at Bank Street Arts. 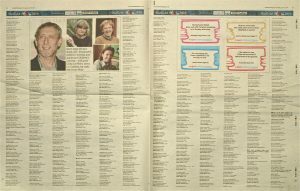 One poem from each school was selected by guest judge – the former children’s poet laureate Michael Rosen – to be displayed on hoardings at the top of The Moor, where the trail began. 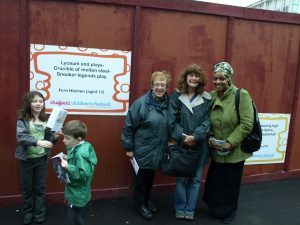 All of the haiku were exhibited at Bank Street Arts throughout the festival in June and July, and there were activities and games to take part in, as well as the opportunity to add to the exhibition. 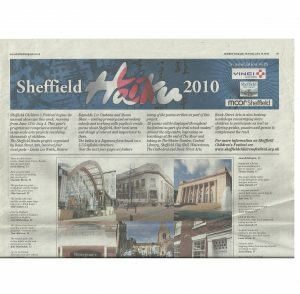 Over 500 of the haiku were printed in a special edition pull out in the local Sheffield Telegraph newspaper. 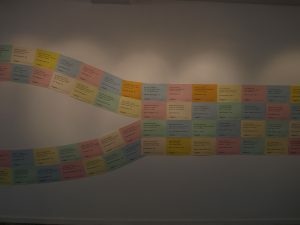 The Haiku were also exhibited around the city at various venues. Those that were displayed in the City Hall can be seen here.